Which wine with foie gras? How to choose your foie gras? Foie gras goes well with many different wines. Traditionally served with a sweet white wine such as Sauternes, foie gras goes equally well with a soft or fruity white wine, red wine or even champagne ! 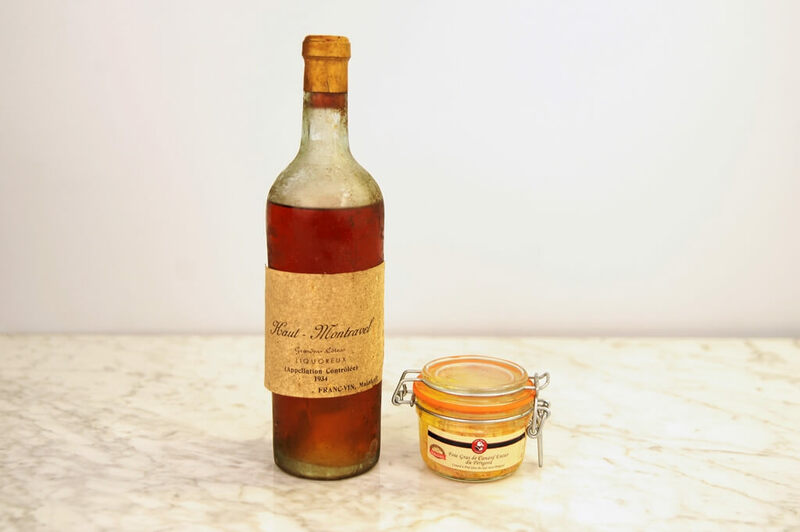 When serving Sauternes with your foie gras, you can’t go wrong. We would recommend a wine which is not overly sweet and which has been aged for several years. It is not uncommon for this sublime combination to be served twice at the same meal – as a starter and again just before the dessert. Foie gras served with a soft white wine is delightful, especially when accompanied by a sweet condiment such as a fig jam or onion marmalade. We suggest a white wine from South-West France, such as a Bergerac, a Côtes de Gascogne, a Jurançon or a Gaillac. 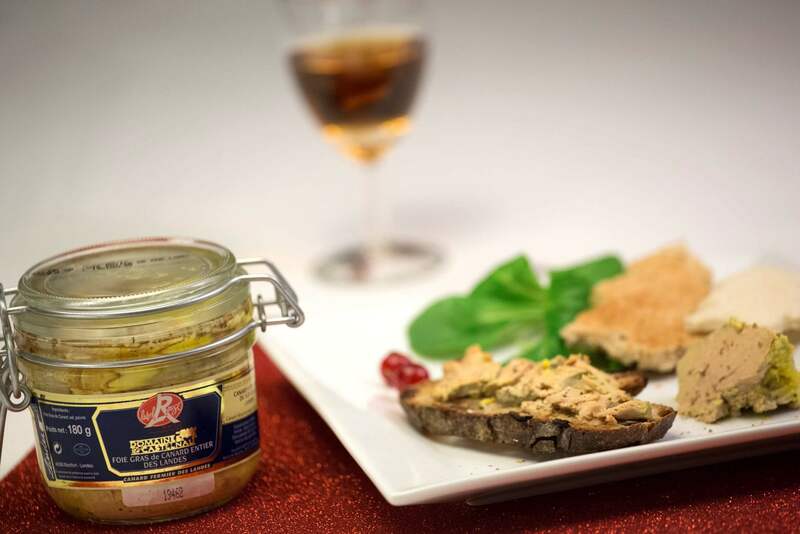 You might even like to try foie gras with a dry white wine – provided it’s not too acidic. Historically, red wine was not served with foie gras. Nonetheless, in more recent times it has become more popular – even in some of the best restaurants. Red wine is more gentle on the palate, especially when the foie gras is served as a starter. We recommend that you opt for a top quality wine which has been aged for several years, perhaps a good Bordeaux such as Pomerol or St Emillion. Avoid light or young red wines. By all means serve your foie gras with champagne but if you do, you need to select your champagne carefully according to the foie gras. If you are serving a goose foie gras, you will need to ensure that you offer a fresh and light champage while duck foie gras will take a more robust variety.